Before we hop into the guide, I gotta be honest. I don't think there's any wrong way to host a vision board party. Seriously just get some friends together and a ton of wine and a couple magazines and voila you have a party. Everyone will have a great time because the nature of the event calls for positive energy, vulnerability and aspirations. You'd be hard pressed to find someone that doesn't leave a vision board party super motivated to crush their goals. I have discovered, however, that there are ways to have an amazingly awesome vision board party that encourages more sharing and collaboration. If you want your vision board party to flow perfectly, you'll need four key items scheduled. Mix and Mingle: At the beginning of the party, give people lot of time to grab, food and drinks and get settled in uninterrupted. Ice Breaker Activities: Once most of the guests have arrived, have a few activities that will allow them to get to know the other people in the room. 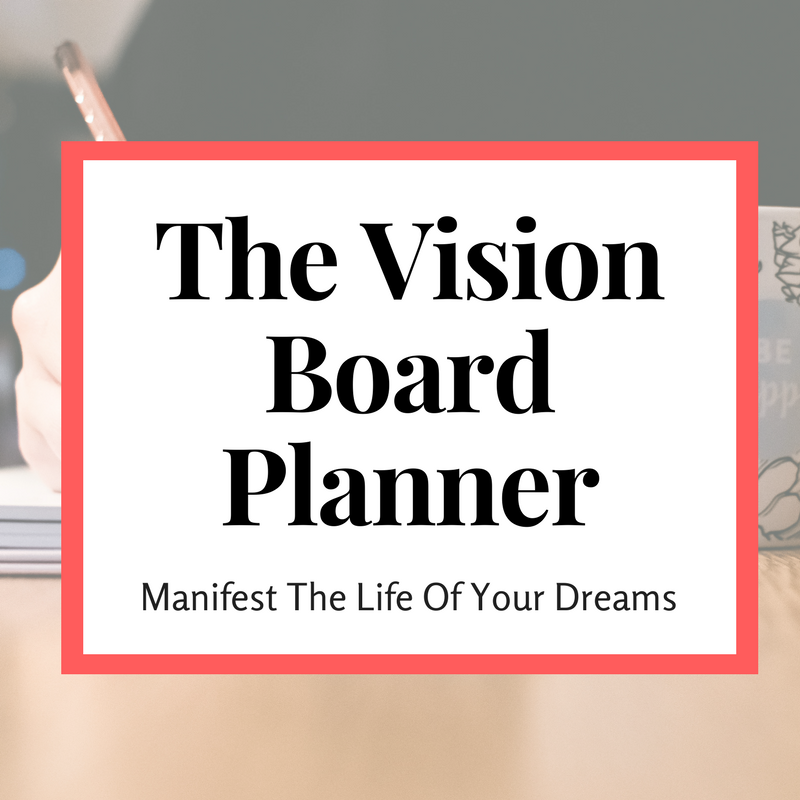 Vision Board Overview: Not everyone that shows up will know what a vision board is. Before you dive into the building vision boards, give a brief talk about how to create one. I don't associate times with all of the items on my agenda because I prefer for the event to flow naturally. But I always create an agenda to make sure I hit all of the items. For vision board parties, all types of food are fair game, but I would actively shy away from messy finger foods. Crowds always seem to be pleased with a mix of salad, fruits, cheeses and cookies. Messy foods like barbecue chicken or buffalo chicken drumsticks definitely keep you away from flipping through magazines putting things on your vision boards. You'll need to have a few items on hand for people to build the vision board with. Each year I build my vision on a cork board. It has lasted for 4 years of vision boards. Every year, I remove the images and quotes that inspired my past goals and put up my new sources of inspiration. Be prepared with thumbtacks in case others show up with a cork board so that they can attach things to their vision board while they're at the party. Pro tip: Also grab colored card stock and markers. There will be times where people do not find exactly what they wanted magazines. When I was job hunting, I wanted to make $75,000. That was my goal. I could not find $75k in any magazine but it was okay because I took a green marker and I wrote the number $75,000 and I stuck that on my vision board. No one likes going to a party and coming up with some awkward way to start a conversation. It's awkward for everyone, extroverts and introverts alike. As the event host, you can help your guests out by coming up with a few activities to get people talking. Icebreakers are small activities that engage people in conversations with each other. This can be helpful when you have a room full of people who don't know each other. Asking people to introduce themselves and share what they enjoy doing in their free time. Talking about the goals that you want to achieve any upcoming year. you can have people talk about their bucket list items. Having these types of activities scheduled in the agenda increases the likelihood that people will start to have deeper conversations about their goals and aspirations throughout the evening..
Obviously, the music that you have on in the background of the sets the tone for the entire event. To perfectly match your music with the type of music in the attendees will enjoy, make sure you have a good understanding of who's coming to your event. Throughout the party, keep the music very low more like background noise than a distraction. Play music that is friendly and upbeat like smooth R&B (and not dancing music). If all else fails I would go with Lauryn Hill Pandora station. A vision board party is not a party if you do not have your friends around you. You can invite friends from your work, your community, different types of activities that you're involved in, parents from your child's school and those lifelong friends that have been with you forever. The people are what truly make the vision for party different. Think about it, why would anyone host vision board party to create a vision board? You can really make a board with magazine clippings that represent what goals you want to achieve all by yourself in your bedroom. You have a party for the people. The purpose of the party is to start the conversations around your goals and get insight from each other's experiences and expertise. Then, you have the unique opportunity to incorporate those tools, tips and advice into your goals so that you have a great starting point when you start to pursue them. Magazines are the core of the vision board. They make up the vision board images and quotes that will inspire you throughout the year division. Your guests will need a lot of magazines to choose from. Select a variety of magazines that cover different topics that will speak to the different aspects of people's lives. Make sure you get magazines that we'll talk about personal finance, health and fitness, adventure and fun, family, education, career and relationships. Vision board parties can be highly inspirational and informative for every guest. Make sure that you have everything you need to be truly inspired and leave motivated to acheive your goals at the end of the day. Newer PostWhat Materials Do You Need To Create A Vision Board?